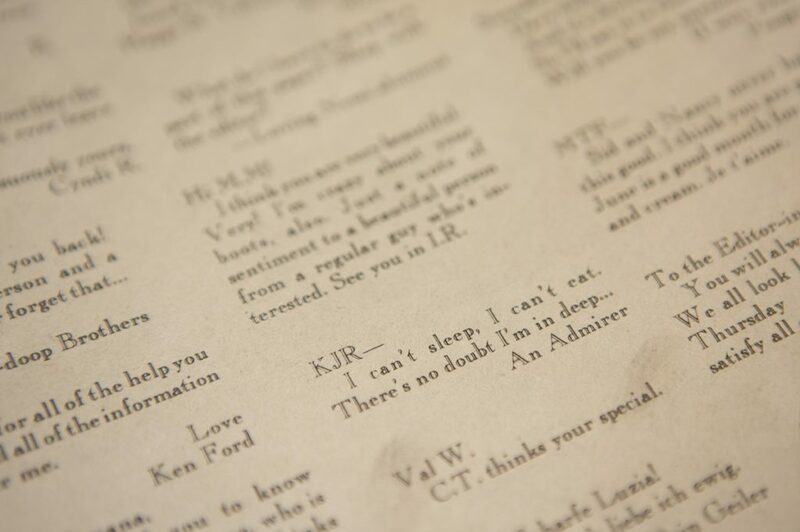 Exhibits archived love letters, valentines, romantic books. 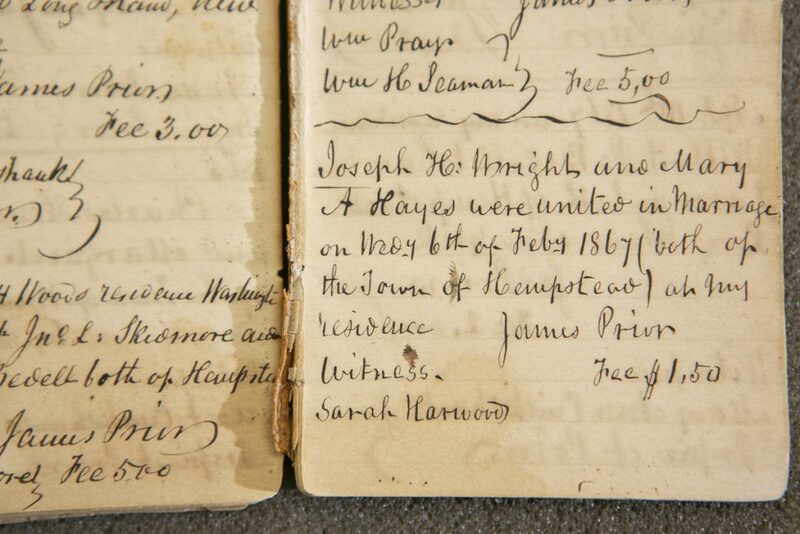 February 2019 – It was an eclectic display of love at Drew University’s United Methodist Archives and History Center. 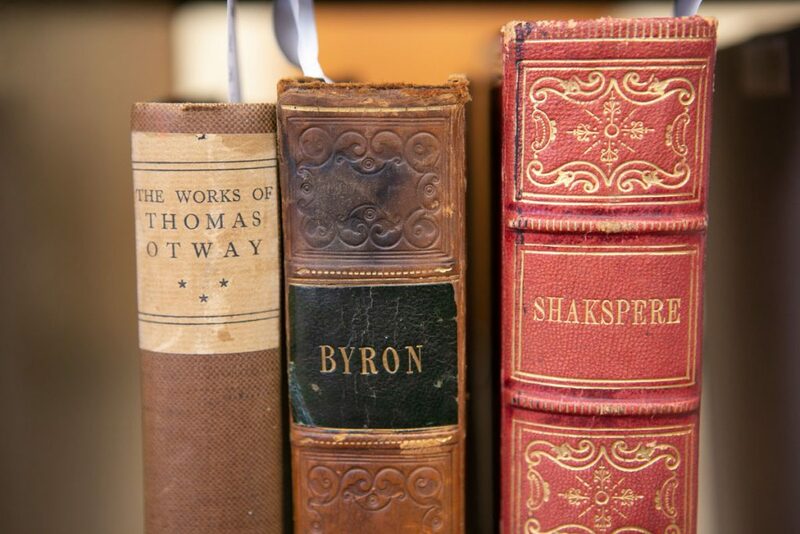 Featured items included a 15th century volume of the Lives of the Saints in Latin; a copy of Romeo and Juliet; 19th century valentine cards and pamphlets; alumni love letters; sermons on love and loss; and comic books depicting the infamous Veronica-Archie-Betty triangle. The exhibit was part of Drew’s monthly Out of the Vault series, which showcases the wide range of materials in the Center. Indeed, there was jewelry made from the hair of the Rev. John Summerfield, a charismatic Methodist minister from the 1800s who made women “swoon.” His bereft sister made the necklace when he died at age 37. 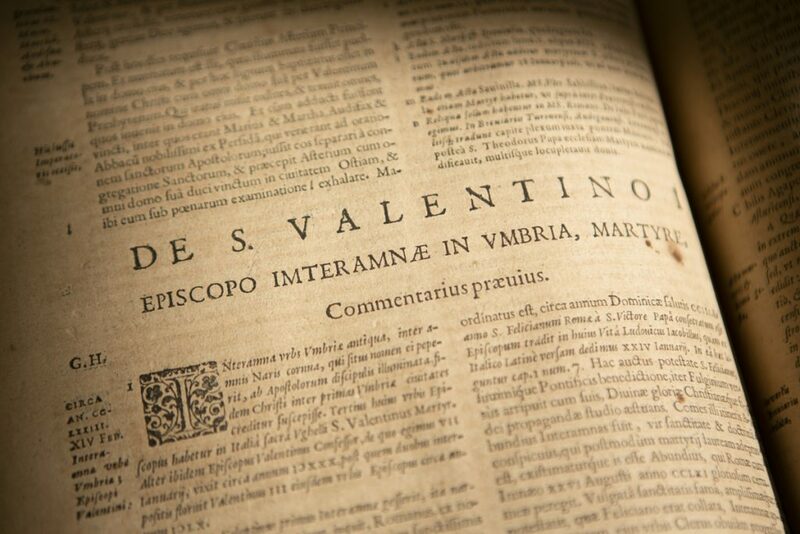 The venerable Acta Sanctorum from 1658 was also displayed, opened to the page for Saint Valentine. 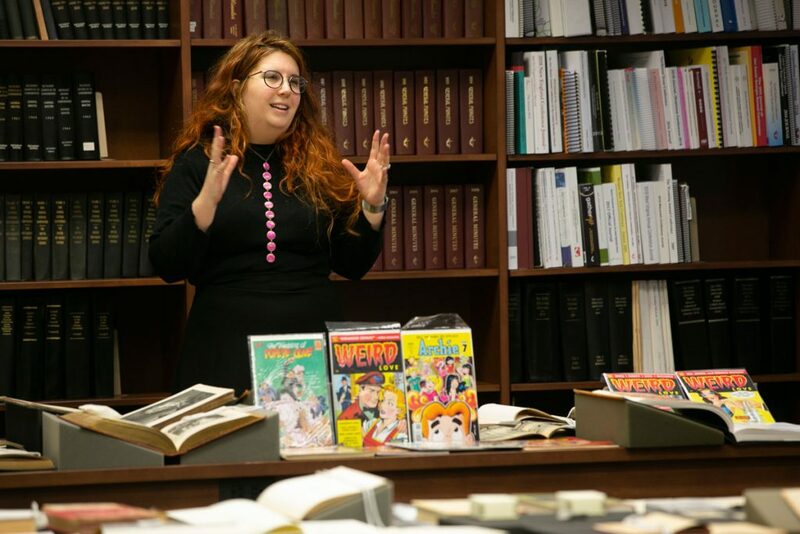 Special Collections Associate Candace Reilly said it was an “amazing experience” just to turn the pages of the 361-year-old volume. Here’s a closer look at the exhibit. 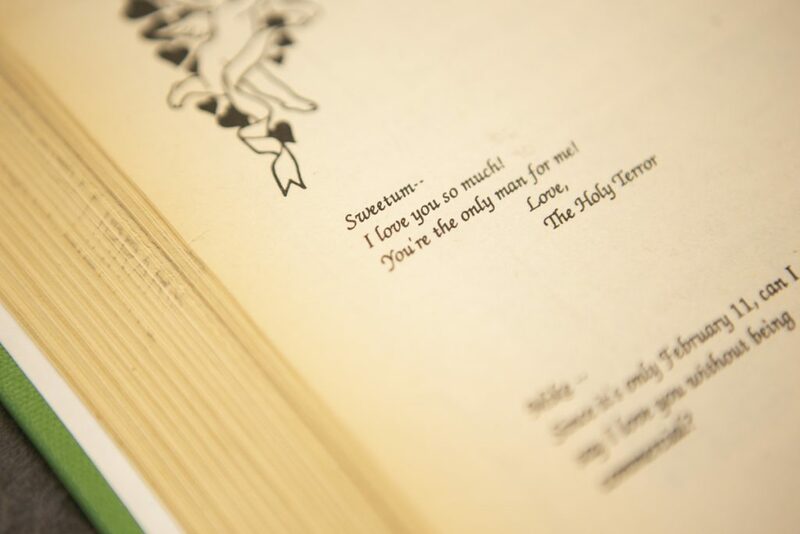 Acta Sanctorum describes the life of Saint Valentine.